Great Britain U20s began their Under-20s World Championship Division II Group A campaign with a 6-4 defeat by Lithuania U20s in Tallinn. GB outshot Lithuania 54-19 but came up against an inspired performance by netminder Laurynas Lubys. Britain were 4-0 at the end of the first session and despite a second and third-period fightback, they came up a little short. Lithuania scored two powerplay goals in the opening four minutes to take an early control of the game. Lukas Washco’s one-timer from the left circle (1:55) was followed 83 seconds later by Martynas Grinius reacting first to a puck off the backboards (3:18). Grinius scored a second from close range at 7:59, while Patrik Misiuk cut inside from the right-hand side and fired top shelf at 16:54. GB’s best chances in the first period came from Liam Kirk, Joe Hazeldine and Josh Waller. Jordan McLaughlin replaced Will Kerlin in the GB goal at the start of the second period. GB were on the board at 29:24 as Kirk fed Waller who finished neatly from the slot, before Jordan Buesa stepped out from behind the net and fired low past Lubys on the powerplay (36:56). Lithuania’s fifth was not with controversy as Washco fired his second of the night into an unguarded net with McLaughlin impeded on the ice (38:25). Cade Neilson netted on the powerplay as he stepped in from the right and fired top shelf on the powerplay to reduce the deficit to two. Washco completed his hat-trick on a short-handed breakaway at 55:06 and there was still time for GB to reduce the deficit to two before the final hooter. Moments after Slava Koulikov had called his timeout, Harry Gulliver fired through traffic with McLaughlin lifted for the extra skater (58:22). In today’s other games, there was a 2-1 win for Estonia over Spain, while Romania secured a 2-1 overtime victory over Korea. 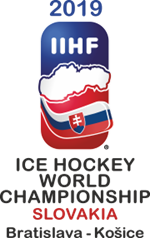 GB return to action tomorrow when they face Korea U20s, with face-off at 4:30pm (2:30pm UK time). The game is live on FreeSports with Aaron Murphy and Paul Adey.